Brown the sausage in a large pot or pan. 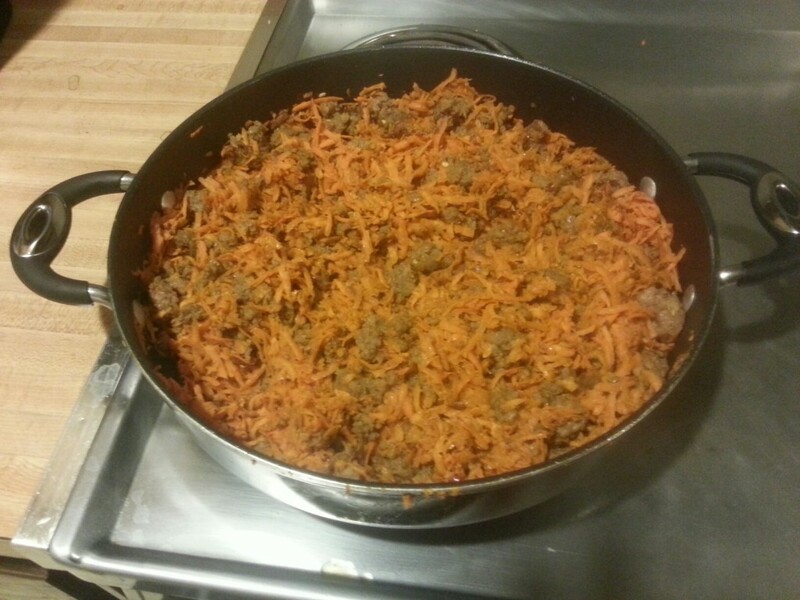 Add the coconut oil and shredded sweet potatoes to the cooked sausage. Stirring often, let the potatoes cook until they are soft, about 7 minutes. Add a TON of cinnamon and serve. Enjoy!